Acharya Krishan Kant has a vast experience of 10 years in the field of Jyotisham, Vastu and Hast Rekha. He is a well know and renowned Jyotish Acharya of India. He has completed Acharya from Lal Bahadur Shastri Rastriya Sanskrit Vidyapeeth, Delhi. His inborn talent for Jyotisham has urged him to learn more authentically on Indian Astrology. People from all walks of life visit him personally and get his precious advice on their family, financial, health and business issues. 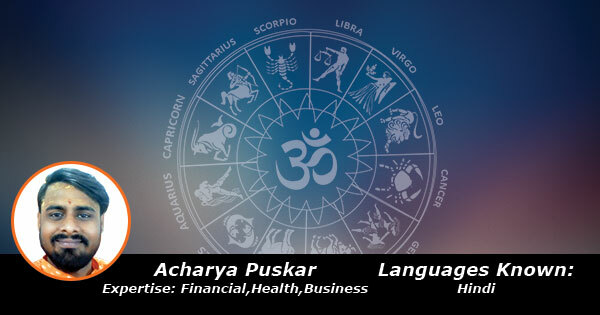 He is specialized in Horoscope reading, Vastu and Indian astrology.